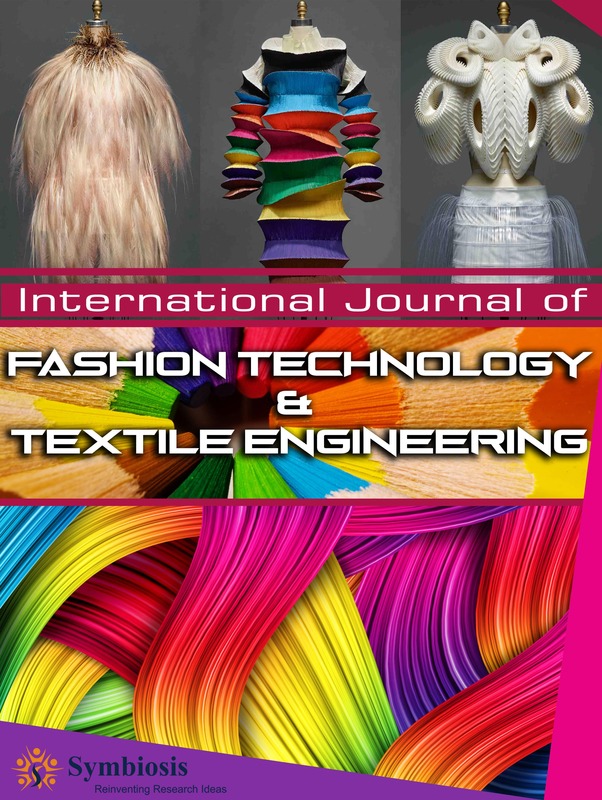 Fashion Technology & Textile Engineering aims to bring out the most inclusive and trustworthy source of facts on the current developments and present discoveries in the mode of genuine case reports, articles, short based communications, journals etc. in all key themes concerning with the advancements in technology of fashion & an enhanced realization of textile manufactures engineering and making them accessible at online with no-charge but freely exclusive of any subscriptions or any other restrictions to consumers and researchers internationally. Fashion Technology & Textile Engineering mainly emphasizes upon the fields such as Fiber Science & Technology (man-made and natural fibers), Studies related to Dyes and Colors, Aesthetics of Textile, Textile Treatment & Finishing, Marketing & Designing of Fashion, Materials of Textile (sources of materials), Nanotechnology pertaining to textile Research, Easy to wear electronics, Apparel/Clothing Technologies (manufacture of apparel), e-Textiles, Multifunctional Materials and Simulation & Modeling.